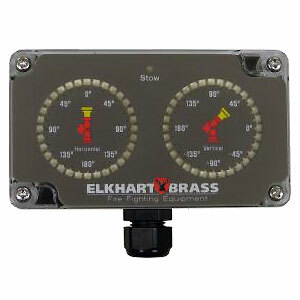 Elkhart Brass complete line of Water Cannon / Monitor Accessories available through mdi. 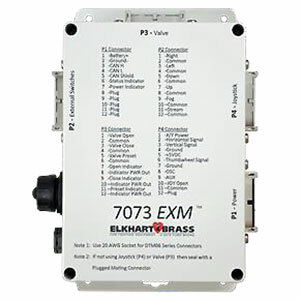 For use with the Elkhart monitors and a range of other compact monitors, the Extender is designed to provide better clearance for the monitor which allows for a wider coverage range and addresses firefighter safety concerns. 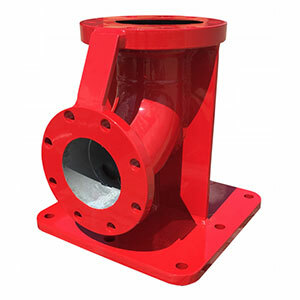 It is compatible with monitor and nozzle flow ratings of 1250 gpm (max) with 100 psi nozzle pressure (max inlet pressure rating of 200 psi). The Extender deploys in 10 seconds and extends a full 18 inches. 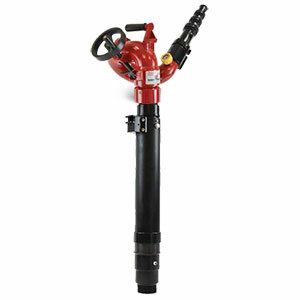 The Extender is designed to flow in both the full up and full down positions. 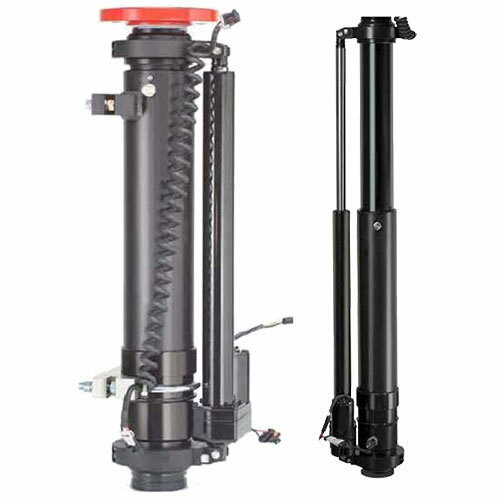 The Extender is electrically actuated through a pump panel pushbutton control pad with actuator rated for a static load of up to 2500 pounds. The chassis 12VDC electrical system provides power for the Extender. 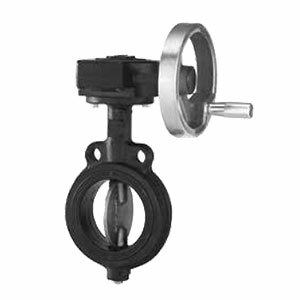 The Extender is compliant with applicable 2003 NFPA #1901 standards. 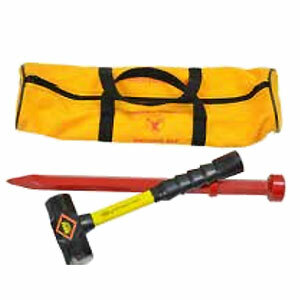 All mounting and wiring materials are included in the Extender package. Available with secondary panel mounted controller. 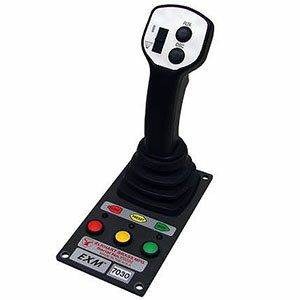 This Controller can be mounted inside the cab to control all monitor functions. The up-down/left-right motions can be operated simultaneously with pressure sensitive speed. 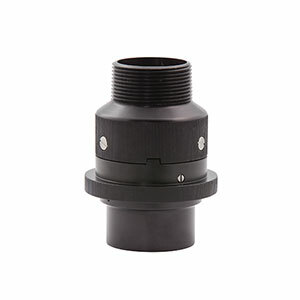 The nozzle pattern can also be changed using a thumb wheel. 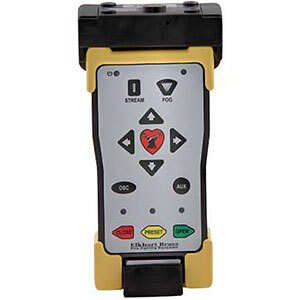 The remote allows the operator to control the monitor from a significantly improved point of view. 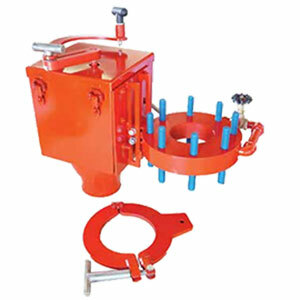 Seperate push buttons are provided for multiple oscillatiom and auxiliary functions. 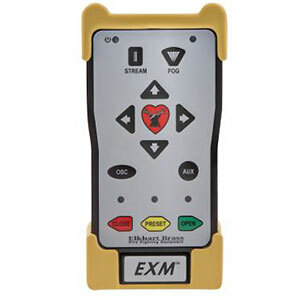 The handheld remote, through the use of frequency hopping techniques, allows multiple transmitters on a common site without interference. 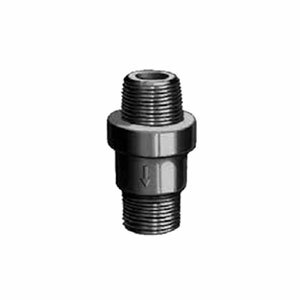 This feature is used in conjunction with either the Elkhart Brass, or customer supplied, joystick or OEM installed switches. May be configured to handle switching power or ground. 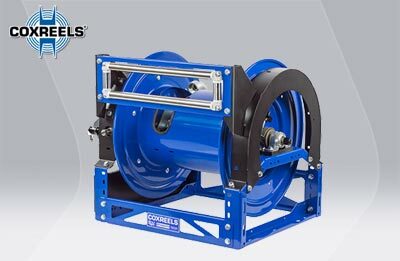 There is also the option of mounting a joystick, or switches, in the apparatus cab to control all monitor functions, including oscillation. Powered with 12 or 24 Volts. 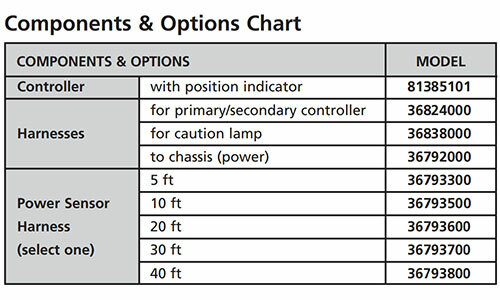 This sensors provide constant feedback to the monitor's processor even when the monitor is moved via manual override. Information from the Absolute Position Feedback sensor is then transmitted to the Position Feedback Display. 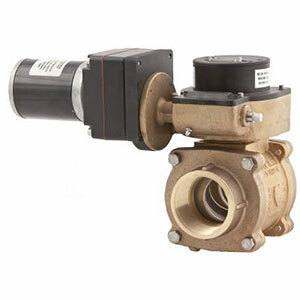 This feature provides a convenient remote on/off and preset valve positioning control of the water supply to the monitor. 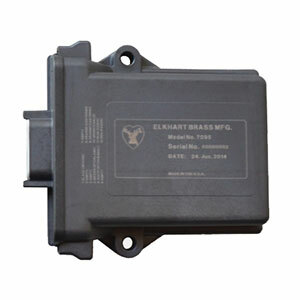 Gives the operator control of the unit from the safety of the vehicle cab, or handheld radio controller. 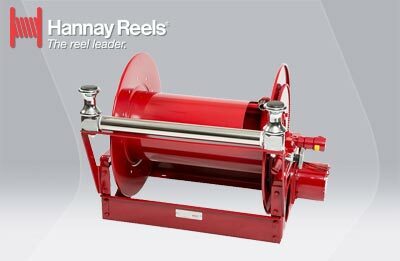 The water valve motor speed prevents water hammer, yet closes quickly to help preserve the limited on-board water supply.